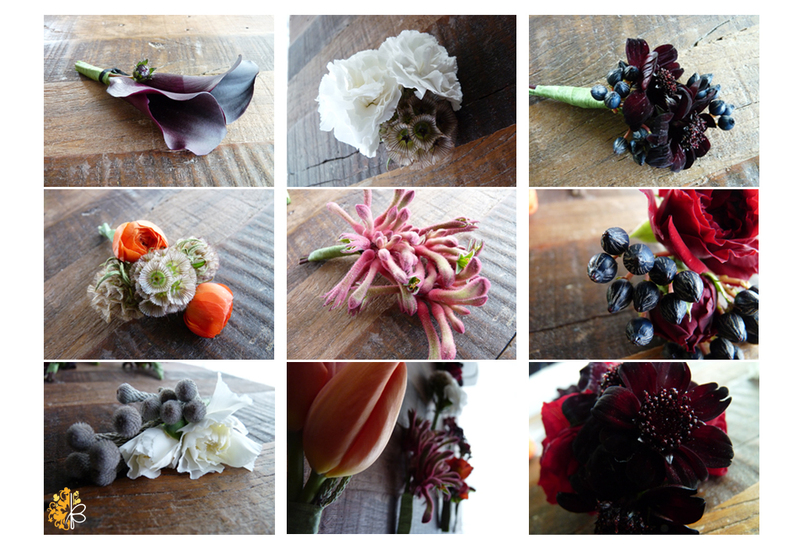 A couple of months ago I was asked to do a sample collection of floral fall boutonnieres… masculine, romantic, classic. Here they are, naked before the ribbon treatment. 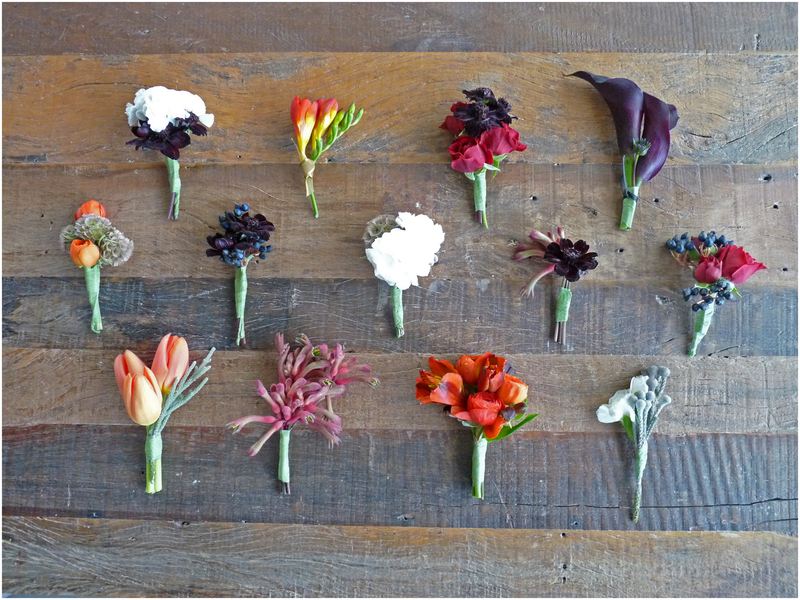 I love what the new wedding genre has done for the wedding boutonniere… it is no longer just the single rose with baby’s breath and a leaf… the possibilities are endless! This entry was posted on Wednesday, August 11th, 2010 at 10:43 am	and tagged with boutonnieres, cala, fall, kangaroo paws, masculine flowers, silver brunia and posted in Portfolio, Uncategorized. You can follow any responses to this entry through the RSS 2.0 feed. « Aaaand here are the stunning floral photos..
love it mai! i’m so ready for fall 🙂 so much fun with the boutonnieres with the berries and all. I truly love when the bout gets a masculine “kick”. I know the men appreciate not wearing a watered down version of the bouquet. I’ve seen some with raw cotton and straw used, as well. Love the natural look of those, too. The berries and deep purples are gorgeous! Nicely done, Mai. So in love with each and every one of these! And I love how they all look bundled together as well, such a fun mix of color & texture! !